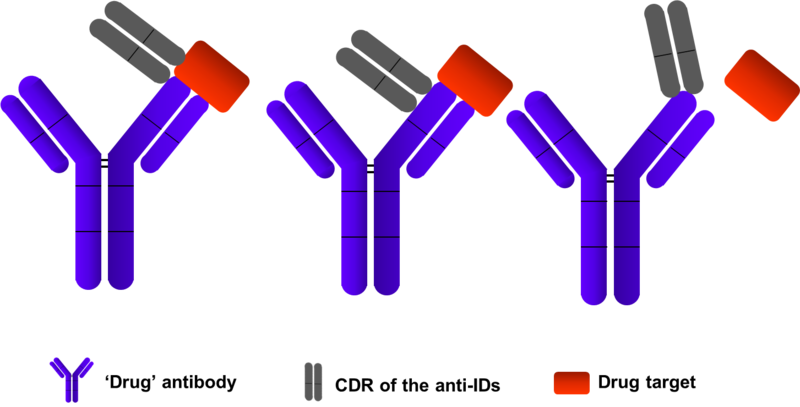 Monoclonal antibodies raised against the idiotype of ‘drug’ antibody are capable of uniquely identifying the drug’s presence and concentration in human serum or other tissues. 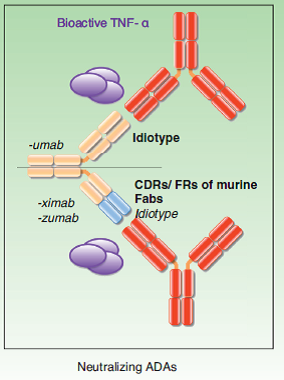 Therefore, anti-idiotype antibodies are used in pharmacokinetic (PK) and pharmacodynamics (PD) studies. Typically we can develop capture and detection antibodies (Type 1-3) to be used in sandwich ELISA assays for the quantification of drug antibodies in patient serum or expression system supernatants. Often our customers develop anti-idiotype antibodies as controls for neutralization assays and blocking assay. Anti-Ids candidates are screened for the ability to neutralize or block specific ligand binding of an antibody/receptor. Creative Diagnostics has a proven track record of achieving successful outcomes with higher complexity projects.